LOS ANGELES, CA (Jan. 16, 2013) -- Boobie $oprano (Hoobangin Records) releases the second single “City of Angels” from his highly anticipated forthcoming album Gunsta Rap due to be released in March. The West Coast frontrunner teams up with his predecessor and label chief Mack 10 for this in depth, feel-good record dedicated to the city of LA. 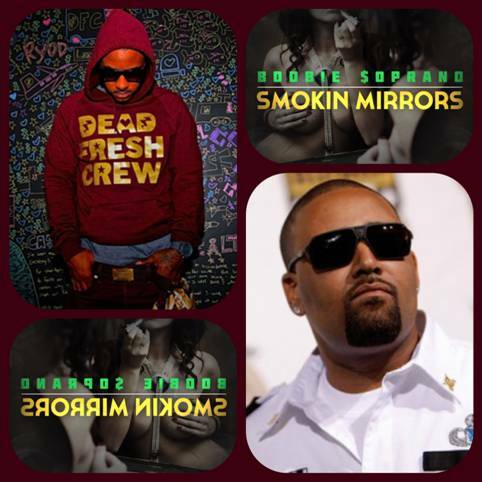 The Gardena, CA native is riding a wave of overwhelming success with the recent release of his street mixtape “Smokin’ Mirrors,” that hit over 11,000 downloads and counting on DatPiff.com. With his recent inclusion into Red Café’s Shakedown Records crew along with official co-signs from Olympic medalist Carmelita Jeter and NBA star Brandon Jennings, Boobie $oprano is a force that can’t be stopped. Gunsta Rap, Boobie’s forthcoming debut album, features appearances by Glasses Malone, Mac Lucci, Baby Bounce, K Boy, Ross P, and Lil Bam, with production by E Dubb for Tracklayers, DL Soundz and J Classic.